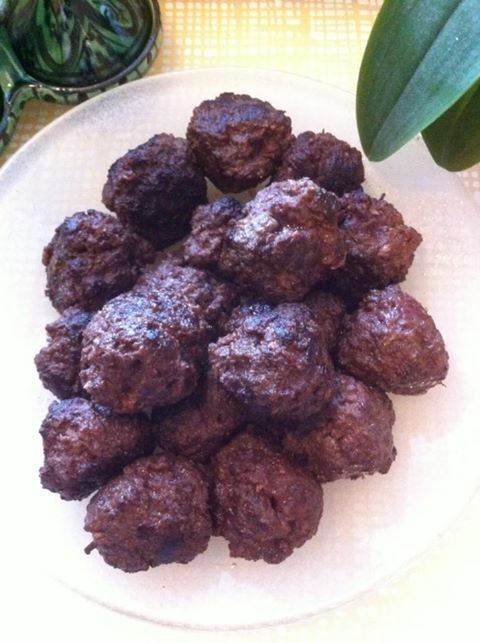 Swedish meatballs … Wonder if there’s another Swedish dish that is more famous than just meatballs. How they should be served with or without frying onions, onion served on the side or not, mashed potatoes, boiled potatoes or macaroni, brown gravy, lingonberry jam, pickles … Well well all equally correct. Self, I prefer with milk stewed macaroni. Which is always served when I grew up. Mix the milk and breadcrumbs. Let swell for 10 minutes. Add the mince, onion, egg, salt, pepper and sugar in bread crumbs mixture. Work mince smooth. Moisten your hands with cold water and shape the meatballs. Fry a few at a time, in shortening, shaking the pan occasionally so that the meatballs rolls around and stays round.